The National Gallery of Art, and its attached Sculpture Garden, is a national art museum in Washington, DC, located on the National Mall between 3rd and 9th Streets, at Constitution Avenue NW. This world-class cultural institution hosts more than four million visitors each year and features some of the most amazing art in the world. From Byzantine altarpieces to pop art, learn all about paintings, sculpture, prints, drawings, photographs, and other works in the collection. This 2-hour 'museum hack' tour (with skip-the-line admission) provides a high-energy, small-group-oriented experience that keeps guests entertained and teaches a bit along the way. Expect group participation, juicy gossip and backstory, a fast-paced tour, fun photos and 100 percent satisfaction. 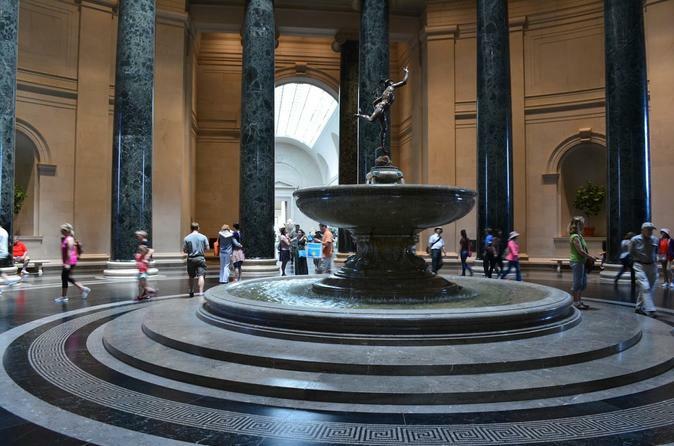 Join this tour for a wild adventure through the National Gallery of Art, one that you wouldn't get by simply visiting the museum alone.